Unofficial compilation of some of G.G. ALLIN first releases: Tracks A1 to A3 taken from GG Allin & The Jabbers - Bored To Death. Orange Records 1979; Tracks A4, A5 taken from GG Allin & The Jabbers - 1980's Rock 'N' Roll / Cheri Love Affair. Destiny Records 1979; Tracks A6, A7 taken from GG Allin - Gimme Some Head B/W Dead Or Alive. 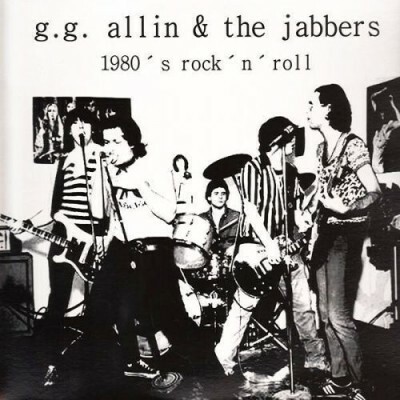 Orange Records 1981; Track A8 taken from GG Allin & The Jabbers - Occupation. Blood 2000 Records 2000. Recorded 1980/81 with The MC2; Tracks B1 to B3 taken from GG Allin - You Hate Me + I Hate You (Public Animal No.1). Orange Records 1982; Tracks B4 to B7 taken from GG Allin - No Rules. Orange Records 1982; Tracks B8, B9 taken from GG Allin And The Jabbers* - Out For Blood. TPOS 1997. Recorded May 1983.